HAMPTON, Va. (Sept. 20, 2017) – On a hot Wednesday afternoon, standing in front of the historic Emancipation Oak at Hampton University, civil rights icon Rev. 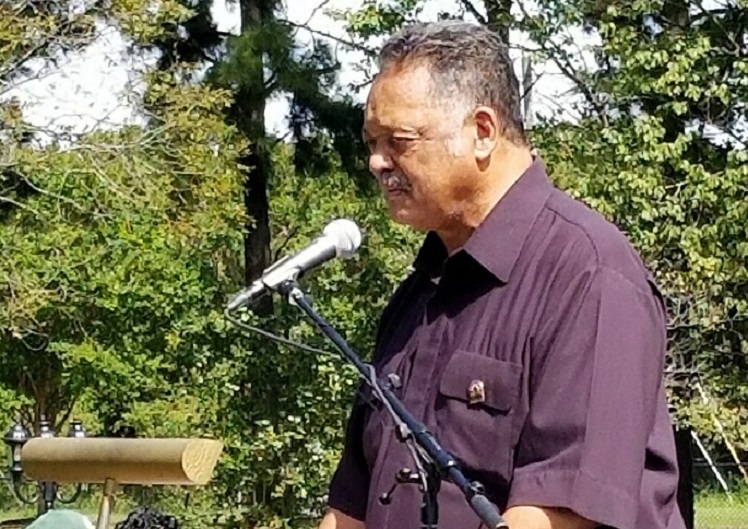 Jesse Jackson preached a powerful message to bridge the gaps that divide our nation. Whether talking about voter registration, medical treatment inequality or the country’s racial division, Jackson emphasized unity through respect. Hampton University President Dr. William R. Harvey is a long-time friend of Jackson, and applauded his message to the gathering of students, alumni, staff and friends of the university. Promoting voting as well as peaceful, respectful disagreement with those who want to divide the public, Jackson is in the midst of a statewide “Healing and Rebuilding” tour. Jackson’s mid-day stop at Hampton University (“I feel like I’m back home here”) was also meant to remind people that people in America by law have the same rights, but by practice, don’t. His visit came after a late morning tour to Hampton University’s Proton Therapy Institute. Jackson spoke about how important health care is for all citizens, no matter what their economic condition. He pointed out that cancer is the No. 1 killer in Virginia. Black men are twice as likely as white men to be diagnosed with prostate cancer and more than twice as likely to die from it, too. He added that incidences of cancer in Virginia are expected to outpace population growth through 2020. Jackson repeatedly said that all citizens should have equal access to health care, that health care cannot be exclusive to only those who can afford it. “Health care for all is a right thing,” Jackson said. He sees the need to reduce student loan debt and provide jobs that pay well. At the heart of Jackson’s tour is a call to action for Virginia residents to get out and vote in the November election. 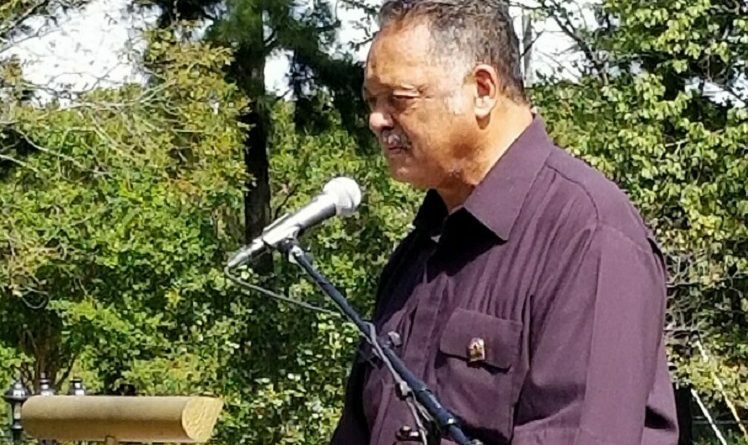 He ensured that voter registration officials were on hand, and before closing the event in prayer, Jackson encouraged everyone at the event to register, because voting for like-minded people is the most certain way to affect change. “If we vote, we will determine the next governor of this state and the next president,” Jackson said.